Really enjoyed the rich culture of Hong Kong. Despite that I am a perfect Chinese speaker, I could not have done a HK tour on my own. Anne takes great photography and it is beautiful to see Hong Kong through her work. It is a bonus of the tour with her! Anne is a great guide providing an informative and entertaining tour. Her suggestions in customizing the tour to my interests & prior HK experience were very appropriate. We made good use of the MTR, saw exactly the things that interested me and used the time effectively. She took me to a number of spots I'd never have found on my own. It all made for an enjoyable day. So when you want a true local perspective on a country there is nothing more refreshing than seeing it thru the eyes of an expat! Anne gave us the benefit of her years in Hong Kong and gave us unique access to the Food and Culture that makes up the crazy East West Hong Kong mix. Beyond just facts and figures and all that "Guide Talk" Annie used her contacts and experience to make the City come alive for us. We even followed her advice Beijing which was our next stop! Next time we will meet her there! We just totally lucked out with Anne. It turns out our Tour needed to include some highly specialized food Meet and Greets for an Article we are writing and Anne was able to quickly use her extensive knowledge of the City to set us up with her impressive local contacts. We only regret we did not ask her advice before we made our hotel rez as she is so totally in the know on where to stay. We think you will agree, your time with Anne will be fun and interesting as she quickly moves you around the City! TOUR GUIDE RESPONSE: Thank you so much Holly, it was a pleasure to meet you. We had a wonderful tour of Hong Kong with Anne. She was very professional as well as friendly, informative and knowledgeable. She also provided assistance with restaurant and activity suggestions for the days we were on our own in Hong Kong. We definitely would recommend Anne to others. Thanks so much Anne! We appreciate everything you did to enhance our enjoyment of Hong Kong. Excellent tour guide, will adapt tours to your needs and wants, provided interesting insights to places visited, and very eager to provide help to make your trip enjoyable and memorable. Highly recommended. TOUR GUIDE RESPONSE: Dear Kenneth, thank you so much for your kind feedback. It was a great pleasure to be your guide and I am happy that you enjoyed the tour. Pleasant introduction to the city enhanced by social insights. Anne was the perfect person to show and tell us about Hong Kong. We felt we could 'do' the obvious tourist highlights by ourselves so Anne was asked to show us the basics first. How to get an Octopus card, how to use it on the MTR and trams was the first task. Then we headed to Wan Chai at our request and then all over with a stop for won ton noodles at a Michelin-starred local shop in the mid levels. A brilliant evening with a knowledgeable and very accommodating guide. Highly recommended, especially if you want to try something different, local..... and brilliant! Anne was thoroughly professional and personable. She quickly ascertained my interests and adjusted the tour accordingly. I could not possible be more pleased with the experience. We spent 2 days touring Hong Kong with Anne. As I had a specific interest in photography she planned an itinerary around it that was fantastic. She was very pleasant company, accommodating and well prepared. She also recommended activities and restaurants for times when we were not with her, all very good. My husband and I would highly recommend her to visitors to Hong Kong! Great and personable guide. Enjoyed our time with Anne very much. Had we more daylight would have spent more time with her. Highly recommend. Love our day tour with Anne. Was very personable and professional. Gave us a good idea of what life in Hong Kong is like. Toured many tour sites and some intersting back streets. If more time to spend in Hong Kong would have gladly spent it with her on the far more less populated side of Hong Kong Island. I really enjoyed my tour with Anne. We had some great photo opportunities and I felt much better orientated to Hong Kong after the tour. She was friendly, interesting and well informed and gave me an insight into the life of a Westerner living in Hong Kong. I would definitely recommend doing a tour with Anne. Thankyou! We felt Anne T. did a superb tour for us in Hong Kong. She was personally a pleasure to be with and very professional as a tour guide. We would recommend her to anyone wanting a informative yet very pleasant experience in this city. She certainly was a 4 if not a 5 rating. Thank you, Jay S.
TOUR GUIDE RESPONSE: Dear Jay, thank you so much for your kind feedback. The pleasure was all mine and I really enjoyed to show you Hong Kong "my city". Your interesting questions were highly appreciated and made even me learning new things about Hong Kong which I haven't thought of before. I hope you enjoyed the rest of your stay and had a good onward journey. Excellent and well thought out tour. Really professional, knowledgeable and friendly. Anne is a great tour guide. She knows Hong Kong inside out. Her English is excellent. She's willing to go wherever you want to go. She made every accomodation for my limited mobility -- even taking pictures for me where I could not walk. I would definitely use her services again if I return to Hong Kong. Anne provided an excellent service taking into account our personal requests and providing plenty of options up front. Anne is very personable and obviously loves her 'adopted' city. Anne made our 8 hour trip around Hong Kong very enjoyable and interesting, I am sure we would not of covered anywhere as much as we did if we had done this on our own. Thanks again Anne, we had A GREAT TIME. Anne is the BEST. We saw HK as a true "local", on foot. She knows and loves the city and showed us a truly new side of HK. She also takes great photos. A true gem of a guide. Will contact her next time we are there and highly recommend anyone wanting to get to know HK to hire her! Her command of English was excellent and being a native to Germany was able to relate to us as Westerners in the East. Anne was fantastic, and we thoroughly enjoyed ourselves. She was extremely helpful, knowledgeable and patient with our many requests. Anne T. was wonderful, showed us all the sights in Hong Kong, took us to the Jumbo Floating Restaurant for a dim sum lunch (which is not to be missed) and to a wonderful restaurant for dinner. She helped us check in luggage in the morning and then dropped us at the airport after dinner. It was a fabulous tour and I would recommed it to anyone. Thanks, Anne. Can't thank Anne enough for a great day in Hong Kong. She is very personable, patient, knowledgeable and very accommodating. She is an asset to Tours by Locals and we would highly recommend her to anyone touring Hong Kong. We really enjoyed our day with her and would not have experienced as much of Hong Kong without her. 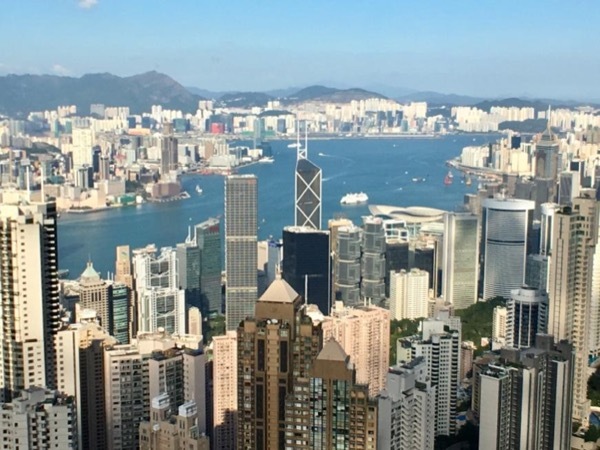 This is an insider's tour of Hong Kong and Anne goes out of her way to make you feel at home, understand home to navigate the city, and explore more than the normal tourist spots. Thoroughly enjoyed spending time with her and seeing Hong Kong through her eyes... An enchanting day! Anne was a great guide, easy to be with, organised, offered lots of tips and shared her local knowledge. It was our first trip to HK and Anne's tour enabled us to get to grips with the city, landmarks, public transport system and local sights ... recommended. We enjoyed Anne and our whirlwind tour of Hong Kong!! We only had 4.5 hours before our flight so we had to pack alot of sightseeing into a short amount of time. I thought it best to hire a guide. We met Anne at 9:00 a.m. and hit it off straight away. 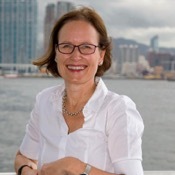 She was professional, informative, and passionate about Hong Kong. I would have loved to have had more time but but with the help of public transport of every kind we managed to see a great deal. I would highly recommend Anne. Thanks very much!! Sigrid.